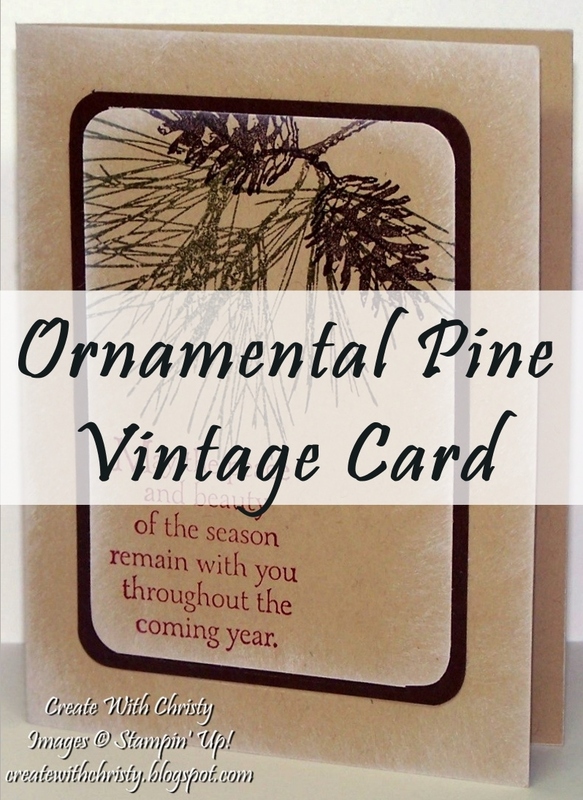 I'm so in love with this stamp set, Ornamental Pine! I just got it a week or two ago, and I've already made two cards with it. Both of them, by the way, were super easy and quick to make. I'll share the other one tomorrow. I really love the way they look, too! I CASEd this one from one I saw on Pinterest. It was made by Marelle Taylor. I changed it a little bit, but not much. I added an Early Espresso layer to the stamped layer, and I also stamped the greeting with Cherry Cobbler ink. I also used Always Artichoke and Early Espresso ink, which is also different from hers. I really like the look of the Crumb Cake cardstock sponged with Whisper White ink.